The RoboChargers were excited to compete in the inaugural UIL state championship event down in Austin with 40 of the strongest teams in Texas. 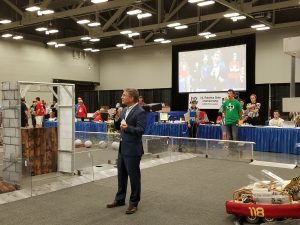 We were excited to be able to bring our largest crew ever to the event, as summer recruiting brought in new students, excited to learn about FRC. 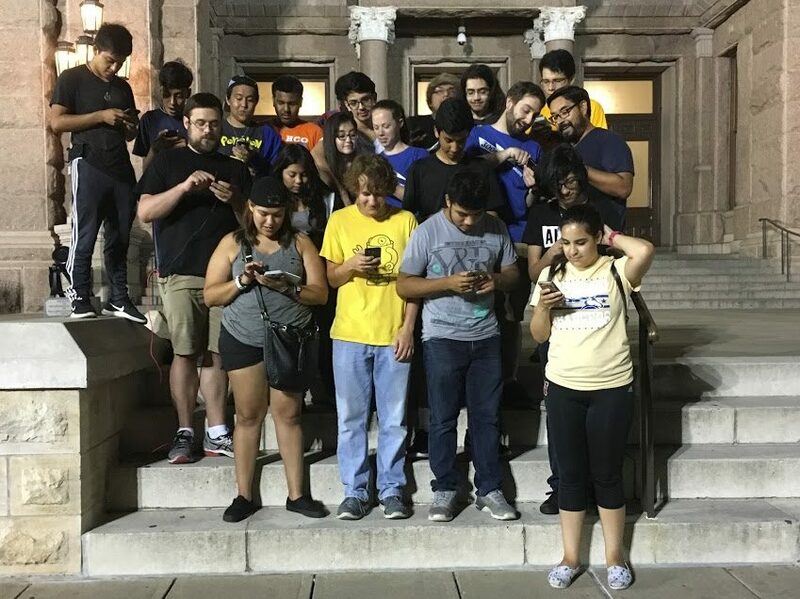 We started the trip off on Thursday evening, hanging out with the ausTIN CANs, 2158, at the State Capital hunting some PokeMon… of course. 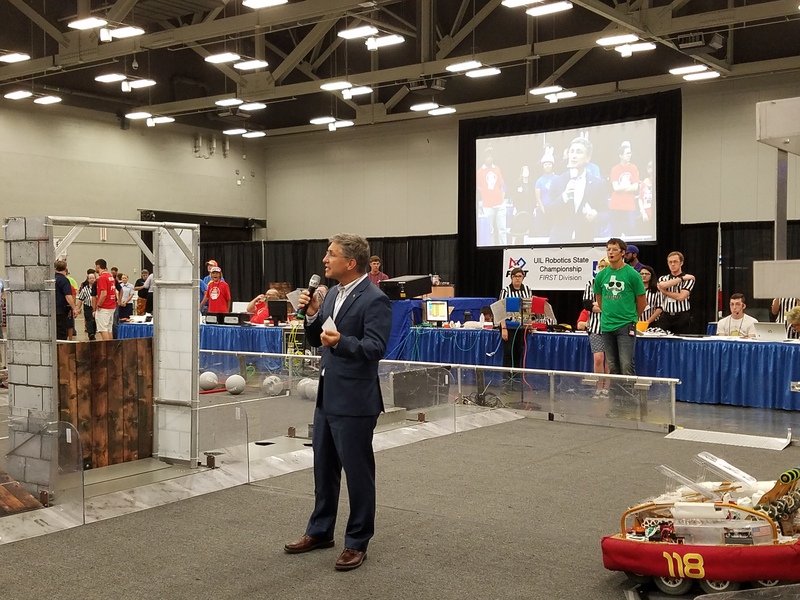 We were also excited to have Peter Balyta, our VP sponsor from Texas Instruments, out at the competition to support all the TI mentored teams. Friday started off with us performing as expected with the schedule we had. Unfortunately, by the end of the day, we did start to have have some end of life issues on Koopa. Our drivetrain, which made it through 2 regionals and championships with no issues, failed once before TRI, and then again before one of our last qualification matches at TRR. 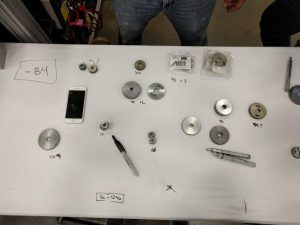 Additionally, the gears we have needed were out of stock at VEX for several months now. Thankfully, we were able to find a matching set (although not ideal) that got us back up and running for the playoffs. We were very happy to be picked up by Team Appreciate, 2468 for the 4th seeded alliance. Together, with the ROSBOTS, 5572, and The Metal Jackets, 4364, we were able to finish as a respectable semi-finalist. Check out our Sponsors page for a complete list of team sponsors! Copyright © 2019 FRC3005. All rights reserved.